Fifteen family members are headed to the sandy beaches of Destin, FL. 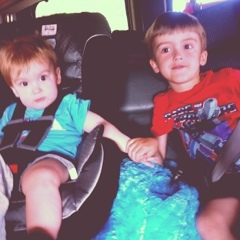 Luckily, the two cutest travelers are stationed in our backseat. 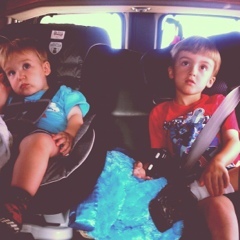 In approximately 8 hours, my boys will greet the ocean for the first time. And don't you worry, the camera is fully charged and the card is cleared.